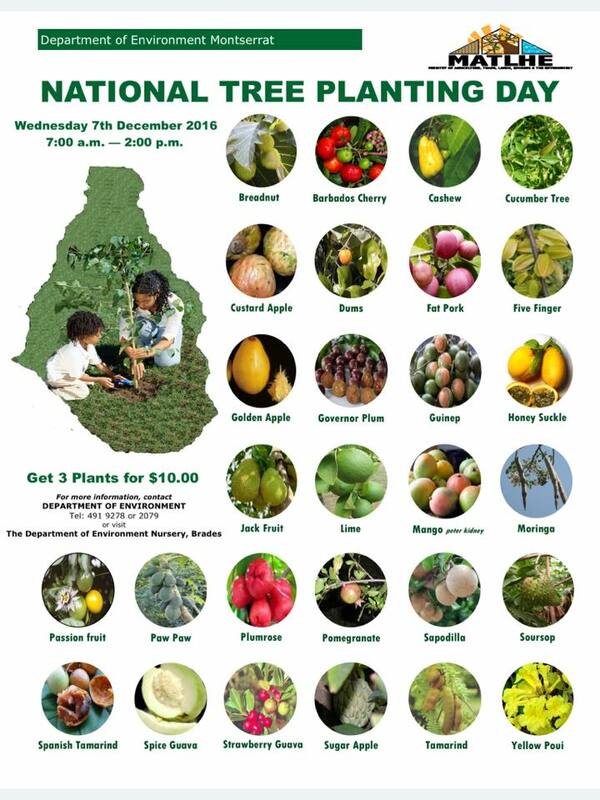 The Department of Environment will host its 26th annual National Tree Planting Day 2016 this Wednesday December 7 2016. The plant nursery of the Department of Environment has spent the past few months propagating over 1400 plants, spread over 30 varieties, for distribution to the public. Each individual will be allowed to select a maximum of 3 plants. The Department of Environment suggests making a plan of where the plants will be put and to begin collecting compost and mulching material that will aid in the growth processes of the plants. Suitable containers for transporting plants to their homes is also recommended. The full list of available plants is in the posted. National Tree Planting Day is organised and hosted by the Department of Environment to promote the establishment of green spaces in communities. This would result in erosion control, beautification, improved nutrition and food security.